The national security service has identified two teenagers as the hackers behind recent attacks on the websites of several domestic airports, the Ministry of Public Security said on March 13. Investigators identified the suspects as L.C.K.D. 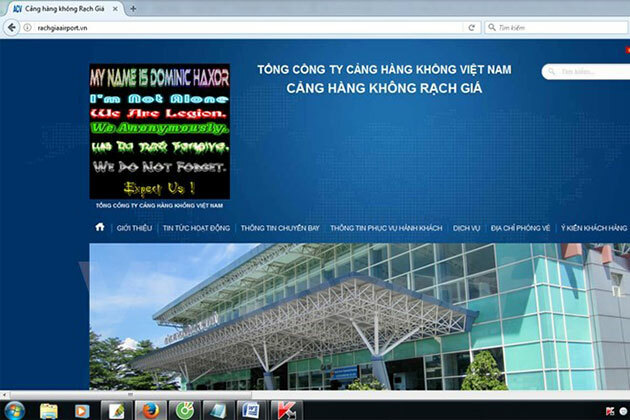 born in 2002, living in Ward 15, Tan Binh District in Ho Chi Minh City, who conducted an attack targeting the website of Tan Son Nhat International Airport, and P.H.H., born in 2002 from Trang Bom Commune in the southern province of Dong Nai, who attacked the websites of Da Nang, Phu Quoc, Rach Gia and Tuy Hoa airports. The two interfered with the operation of the websites on March 8, 9 and 10. The teenagers admitted that they launched the attacks in order to show off their skills to the hacker community. They pledged to never do it again. Given their age and repentance, the police issued administrative fines and requested their families to monitor them. To intensify cyber security, the Department of Cyber Security under the Ministry of Public Security asked relevant agencies and companies to inspect and strengthen their cyber security systems./.